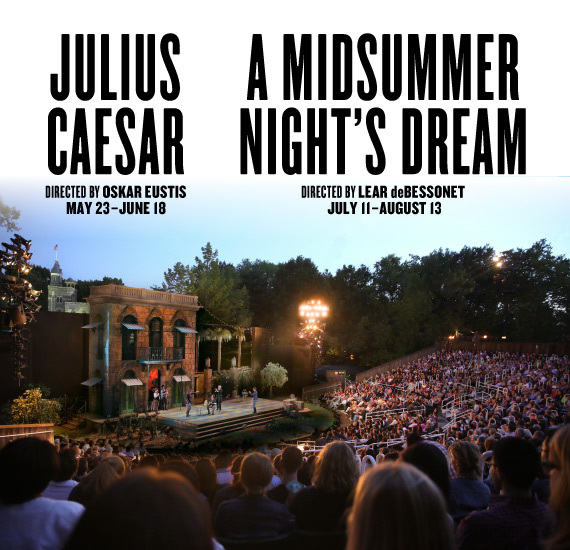 Well it looks like the Public Theater is going back to Shakespeare's hits for 2017, after 2016's decidedly hitless duo of TAMING OF THE SHREW and TROILUS & CRESSIDA. Although to be fair, at one time SHREW was a big hit, but it has deservedly fallen from favor, along with, equally deservedly, THE MERCHANT OF VENICE. Both plays are unredeemably offensive, but directors still try to work with them. In the case of the Public's 2016 production of SHREW, they used an all-female cast in an effort to conceptualize their way out of the misogyny. So I am really looking forward to these two shows, especially the DREAM - I've seen so many versions of this in the park, and in fact don't think I've ever seen it done indoors, or even on a stage outdoors. So I'm curious to see what Lear deBessonet does with it.